The latest news in the never-ending saga of De Tomaso’s rebirth is its reported sale to a Swiss holding company that plans to bring a two-door, mid-engine sports car to market. Maybe something like the rendering above, which Henrik Fisker drew up late last year. ​Henrik Fisker Designed A De Tomaso Revival, But Why? According to Auto Motor und Sport, L3 Holdings bought De Tomaso last week for $2.1 million, beating out rivals at Consolidate Ideal TeamVenture from China and the Eos Group from Italy. If L3 rings a bell, you’re a nerd, because it’s an arm of Genii Capital, which as Autoweek points out, is the company in charge of the Lotus Formula 1 team. De Tomaso, who made everyone’s favorite ‘murican-powered wedge, has gone through a series of fits and starts since it was shuttered in the mid-2000s. It was bought and sold before eventually winding up in the hands of former Fiat executive Gian Mario Rossignolo, who was later arrested for misusing over $9 million in public funds. Then last year, Automobili Turismo e Sport reportedly bought De Tomaso and trotted out a concept. Then, unsurprisingly, nothing. Now that L3 has the reigns, it’s reportedly considering a new plant in Turin, Italy, with a workforce of 360 people cranking out 4,500 cars a year as early as 2021. 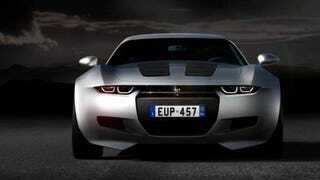 The first car is supposedly a mid-engined coupe, and that may be why Henrik Fisker was tapped to provide a design. But like every other claim at rebuilding the marque, you’ll need a mountain of salt to take it seriously.